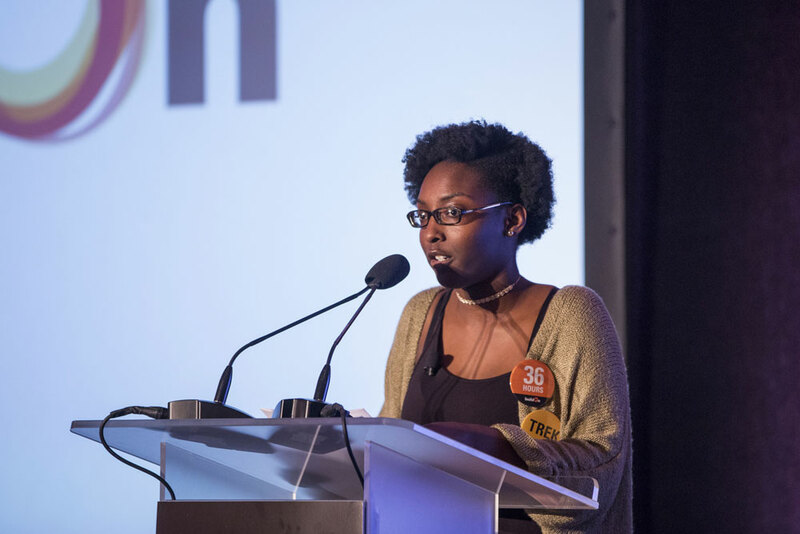 Last night, hundreds of members of the buildOn Movement came together at Boston’s Mandarin Oriental to celebrate the impact of buildOn in Boston, the United States and around the world. The celebration raised $364,000 to support buildOn’s mission of breaking the cycle of poverty, illiteracy and low expectations through service and education. (Above) Sonya Carson, a student at the Community Academy of Science and Health, shares her personal buildOn story at the Boston Dinner. 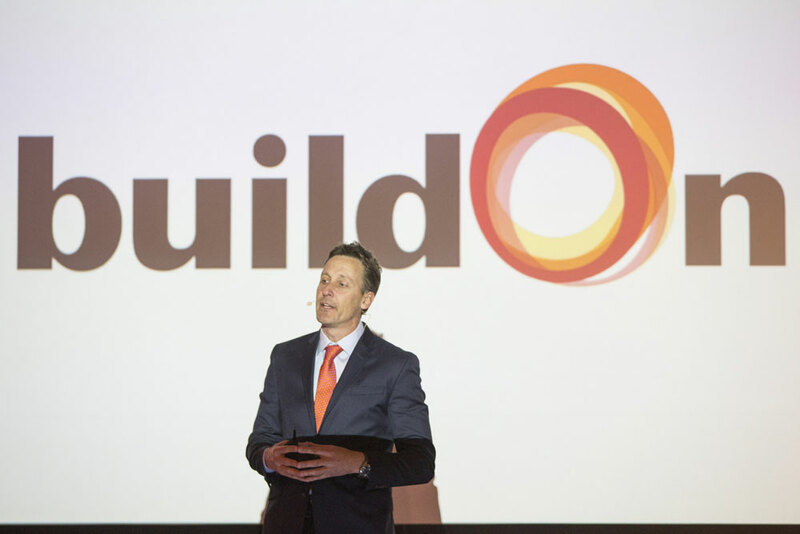 buildOn Founder and CEO Jim Ziolkowski followed with a look back at two-and-a-half decades of breaking the cycle and shared inspiring stories of buildOn students empowered by service and education. Following dinner, he gave an inspiring tribute to buildOn partner GE for 25 years of service, including building more than 30 schools globally and an amazing experience in Boston with our 36 Hours program at CASH high school. 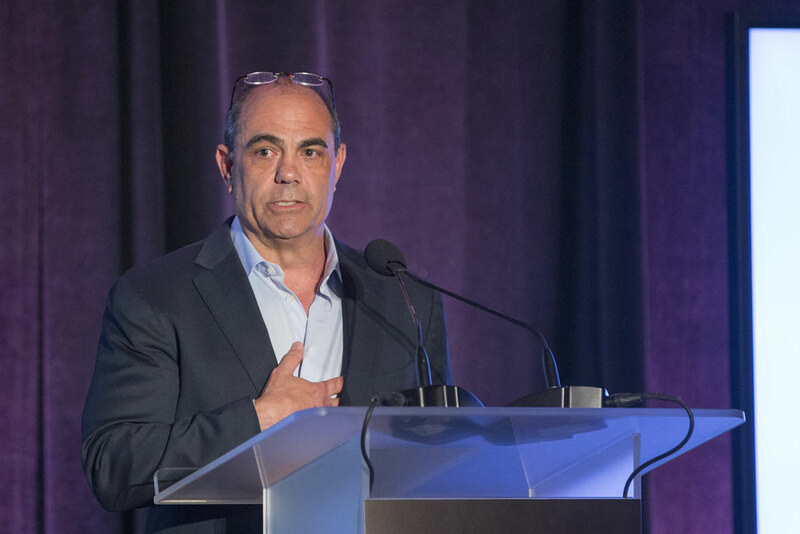 The tribute include a special recognition of GE Chief Finance Officer Jeff Bornstein who took the stage next to share why immersing directly with buildOn is so vital to GE. (Above) buildOn Founder & CEO Jim Ziolkowski shares inspiring stories of buildOn students empowered by service and education at the Boston Dinner. (Above) GE CFO Jeff Bornstein shares why immersing his company in the buildOn mission has been so important to GE at the Boston Dinner. 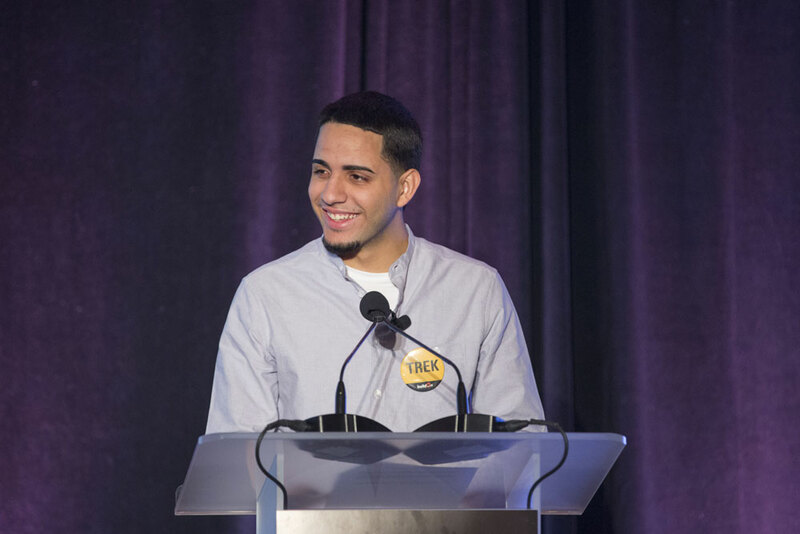 (Above) buildOn student Christian Mendez shares his emotional buildOn story at the Boston Dinner. Following a successful appeal, in which our guests stepped up with passion to support buildOn Boston, buildOn students led the guests guests in a heartfelt cheer of “WE ARE BUILDON!” to bring this incredible evening to a close. (Below) buildOn Boston students brought the evening to a close with a heartfelt cheer of “WE ARE BUILDON!” | (At Top) buildOn student Christian Mendez and GE CFO Jeff Bornstein share an emotional moment following Christian’s speech at the Boston Dinner.